Do not be fooled by the subtitle – this is not self-help. This book will not help you become more successful. In fact, its more honest subtitle would be, “… and why you’re a failure and will always be one.” Malcolm Gladwell, best selling author of Blink and Tipping Point has returned with an analysis of the elements that have made some of the world’s most successful people successful and, guess what, they all turn out to be things you cannot acquire. So unless you are under eleven years old this book will be of no practical help. If you’re over thirty, as I suspect most readers will be, this will only serve to remind you of all the ways that your own life has gone wrong. And really this list contains little that we don’t already know to the point of cliché. Being in the “right place at the right time” covers most of it. Gladwell has selected his “extraordinary” achievers carefully. Bill Gates, The Beatles and Robert Oppenheimer. These people, he claims, lie outside the normal graph lines of success, they are “outliers” and somehow, by creating a new word for it, the reader is asked to believe that he has found something new. However, even his 10,000 hour paradigm is so loose as to be useless and in his argument that the Beatles somehow did their 10,000 hours practice playing in the clubs in Hamburg before they became successful doesn’t actually add up. Bill Gates fits quite neatly into his list of attributes, he was the right age to exploit the creation of the personal computer, in the right place: California. He had had access to a computer and programming from 1968, which is extraordinarily early, and could get in his 10,000 hours before he was 21. Robert Oppenheimer had the charm to talk himself out of an attempted murder rap on his own tutor and then went on to lead the Manhatten Project winning the race to split the atom. Bizarrely, Gladwell lastly examines his own mother’s life and her route from racial underclass to middle class. I can’t believe that Gladwell’s graph really shows that she lies far outside the graph of many who struggle from poverty of racial exclusion. This, I imagine, is more sentiment than it is the cold analysis that Gladwell claims to use. As a social scientist he seems lacking. He suggests no control groups or exceptions, his selection is limited. Simply applying the same factors to other “household name” successes soon shows the limitations of his list of attributes. Madonna, for example may have got a huge amount of dance practice under her puff skirt before she became successful, but she had barely sung a note before she began her outlying career as a singer. She was, however, in the right place at the right time: The New York club scene in the early eighties vacuum left by disco. Her background was not wealthy but her tenacity is undoubted. And Richard Branson? 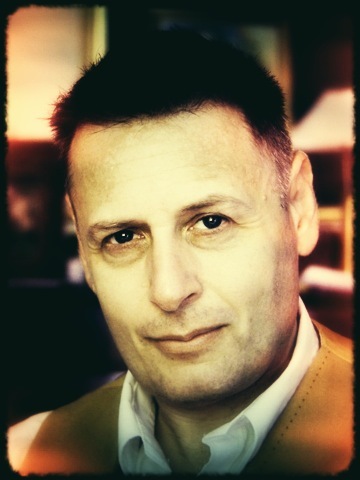 A privileged public school boy, he signed Mike Oldfield at an early age and, apart from a failed national launch of a school magazine he had had little practice running a publishing business let alone an airline by the time his brilliantly named “Virgin” was a household name. But I can tell you something that these two, ignored, outliers had, along with all the ones that Gladwell chooses. Something his analysis seems to neglect completely, presenting a cosy naive vision of the elements of success. The one thing all outliers and successful people possess is a certain ruthlessness and willingness to exploit people and situations when other, more normal people, might be concerned about social consequence or following moral codes. The Beatles famously sacked their drummer Pete Best, the notorious fifth Beatle, because he didn’t fit in (where was Ringo Starr during Gladwell’s Hamburg 10,000 hours?) with the wholesome image they decided to project to gain the less rebellious teenage market. Bill Gates’ Windows system found him repeatedly prosecuted for anti-competitive business practice. Oppenheimer, as we learnt, thought nothing of trying to poison his tutor. What these people share is an ability to navigate their way in life without their “moral compass”. 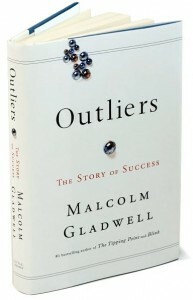 Gladwell’s “Outliers” is a limited and benign vision. In the end you are told very little you didn’t already know. Like so much social or behavioural science you feel you’re paying Gladwell to state the obvious. He, or his editor, has a knack of knowing the point that a reader will get bored at and enlivens his writing just at that moment with a new nugget of information or conclusive thought so the writing rewards along the way but Gladwell never gets deep under the skin of success. The simple fact that extremely successful people do not apparently possess, to the same degree as normal “inliers”, the moral self-limiter which prevents exploitation of others and that this is not even touched upon in Gladwell’s analysis (possibly the fear of lawsuits has neutered this project) leaves this book a hollow work of interesting but empty assertions without the real work of either rigorous analysis or inspired insight.